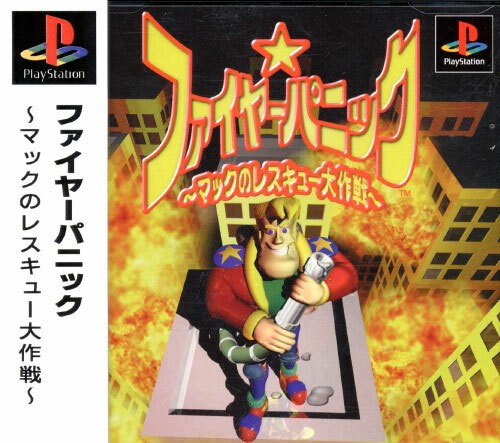 Solid Sony developed 3D title as players take the roll of all action Rosco who piles into towering infernos without a second thought for his safety. An axe is sometimes used to take down hazards, but on the whole its a hose a good supply of water that is needed. 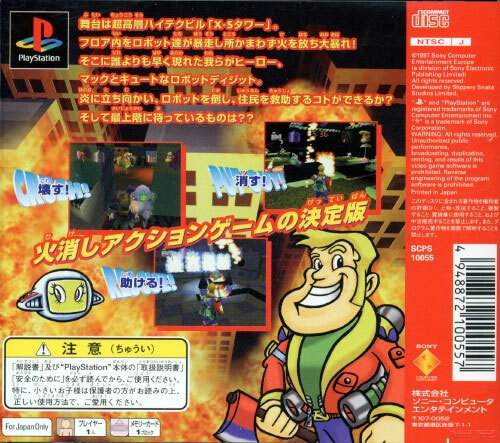 Plenty of fun and a good tribute to AM2 being a flattering imitation if in a more cartoony style. Known as Rosco McQueen Firefighter Extreme in the West. Second hand. Small spillage inside the back cover. Small spot of discolouration on the manual reverse. Disk scratches.